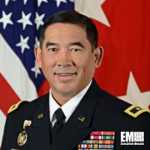 Maj. Gen. Garrett Yee, acting deputy chief information officer of the U.S. Army, has said the service branch looks to collaborate with companies and academic institutions to facilitate interoperability in its workflow processes with technology, MeriTalk reported Thursday. Yee told an Avaya-hosted webinar Thursday that the Army should automate its system to manage workflows and adopt artificial intelligence tools. The branch seeks to modernize operations in areas such as information technology, contracting, logistics, human resources, test and evaluation and financial management, the report noted. 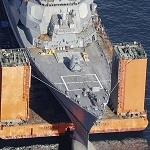 He added the service should balance innovation programs with cybersecurity and warfighter safety efforts.